Reader and contributor Dr. Ed Harris recently authored an excellent article in which he describes why shortwave radio remains a practical and accessible educational technology in today’s world. And he should know. Ed––a long-time DXer and world traveler, currently studying to be a ham radio operator––is also a professor of educational leadership at Oklahoma State University College of Education, where he teaches courses in leadership, ethics, and research. 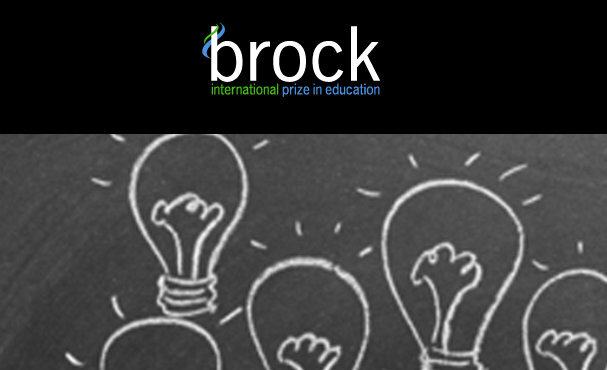 Additionally, he oversees the Brock International Prize in Education, which discovers and awards the best ideas in education and showcases them to the world. Ed is also an Ears To Our World advisory board member––not to mention, a good friend: we’ve travelled together on behalf of Ears To Our World to offer support with educational technologies in parts of the world where they’re needed. Ed has kindly allowed me to post his full article here on the SWLing Post, as I believe many of you will appreciate this. As a professor of education, I see concerted efforts across the planet to increase educational opportunities for all global citizens. Governments and institutions are acknowledging that education is vital to social and economic sustainability for everyone, everywhere. For some global citizens, the convergence of the Internet with modern instructional technologies has provided advanced and rewarding educational opportunities. However, numerous geographical regions are still plagued by educational inequities that result in social and economic disparities. While there are no quick fixes for these inequities and disparities, the issues can be boiled-down to two interrelated factors: (1) isolation (i.e., insulation from available and accessible services) and (2) poverty (i.e., insufficient means to procure services). Isolation is a huge problem domestically and abroad. In all parts of the world, rural is rural. In those areas where people are geographically or politically isolated from available services, the Internet and innovative technologies actually perpetuate educational inequities and widen the digital divide between the have and have-nots. Moreover, in many areas, the lack of money for basic electricity and Internet subscriptions compound the problem, making educational inclusion virtually impossible. A few years ago, a colleague and I published an article regarding the above dilemmas in light of the accessibility and sustainability of modern educational technologies. We explained that although we live in the 21st Century, we could benefit significantly from the criteria that “Whole Earth Catalog” used to select sustainable, user-friendly tools for their publications. Capable of launching a cascade of new opportunities. Rather than applying the above criteria specifically to radio, we applied them to a wide array of instructional technologies. However, when shortwave radio is held up to the scrutiny of Whole Earth’s standards, readers can see below that radio clearly ascends to the top of the “ed-tech” pyramid. High quality and affordability are obvious factors in any discussion on sustainable technologies. Educators must consider the cost of ownership and return on investment as they seek to adopt new educational technologies. While computers and mobile devices are quite popular in today’s educational settings, their cost prohibits them being used by many across the globe. On the other hand, shortwave radio is relatively inexpensive. Low-cost shortwave receivers can be purchased in almost every part of the world. Moreover, simple, inexpensive shortwave regenerative receivers can be easily built with a few parts. Even in the most disadvantaged parts of the world, one can find shortwave receivers, and many radios now include hand-cranked devices that provide power without batteries. To add to radio’s cost appeal, listening is absolutely free and does not require special apps or subscription fees. In the “Whole Earth” days, accessibility was expressed in terms of how easily the technology could be mailed or shipped. For instance, while large harvesting combines were not seen in the publications, sickles, pocketknives and books were prominent. An inaccessible tool is useless, while an accessible tool is invaluable. Academic fields such as Educational Technology differentiate between (1) availability, which concerns how readily obtainable a technology is, and (2) accessibility, which concerns the skills one needs to successfully employ the technology in the manner intended. An example might be digital library services. Most universities make available a wealth of research materials online for anyone who has university credentials to log in to their system. However, while these materials are available, they are not necessarily accessible to users who are unable to navigate the library website, remember his or her login credentials, or have the search skills to interact efficiently with digital databases. Thus, when adopting new educational technologies, both availability and accessibility must be considered and planned for. Regarding the accessibility of shortwave transmissions, radio may be the most available and readily accessible technology in the world. Shortwave radio remains the only medium capable of direct communication from one country to listeners in another country without intermediaries such as satellites, cable companies, or Internet providers. Shortwave signals can be accessed anywhere on the planet, and radio is a safe way of providing information to areas of conflict or during an emergency. Unlike most other radio communications frequencies (such as those used by FM radio, WiFi networks and Mobile Phones) which are limited to local or line-of-sight propagation, shortwave radio signals bounce off the ionosphere and blanket earth with broadcasts and information. Every corner of the globe can receive shortwave radio broadcasts with even a simple $20 portable radio. When radio is seen as an available, accessible, and affordable educational tool, potential educational opportunities sources dramatically widen and serve to bridge the digital divide. For educators, self-directed learning (SDL) is a top goal in the educational process. In SDL, the individual learner takes the initiative and the responsibility for what occurs and has the opportunity to choose from a range of available and appropriate resources. Thus, since opportunity and choice can empower a person to grow in his or her capacity to be self-directing, these factors should be nurtured and promoted in educational processes. The Internet is example of a technology that nurtures self-direction and promotes both informal and formal learning opportunities. However, even the Internet does not surpass radios usefulness in self-education. Research indicates that radio is more than just music, news and entertainment. Rather, radio listening can meet educational needs such as individualized learning, belongingness, self-esteem, independent learning, and even self-actualization in a variety of different ways. Listeners can engage simply by selecting the format type that meets their requirements at any specified period of time. Moreover, radio listening is edifying because listeners hear current events and ideas from different perspectives across the world. The choices of the learner in radio listening are paramount because he or she can choose the station, choose what they want to get from the experience, and choose with whom they would like to share that experience. The opportunity of creative imagination and proactive listening. Radio listening feeds imagination and brings an auditory dimension to our lives. It allows for networks of mental associations, and facilitates the listener to vicariously “visit” new places and new cultures. These opportunities serve to facilitate the formation of identity, purpose, and listening skills vital to good communication. The opportunity of connections. Radio listening broadens connections and increases community. Radio listening helps both in making connections of desperate pieces of information and in being connected with each other and to the world. Understanding the interconnection of knowledge is vital in the learning process. Radio listeners hear different perspectives from around the world and are automatically put in the arena of connection making and discernment. Also, radio listening can be a community endeavor in itself. The opportunity of inherent learning about radio. The radio is an educational device, and subjects that can be integrated in radio listening include geography, sociology, politics, mathematics, and a host of others. However, the radio device itself is instructional. Understanding electronics, circuit construction, safety, modes and systems, propagation of radio frequency signals, serving equipment, and progressing host of others. While technology is constantly evolving, the wisdom of Whole Earth prevails — the wisdom inherent in using technologies that promote a sustainable lifestyle. In education today, we are continually seeking innovative, timeless, and empowering technologies to promote sustained learning for all. Just as the publishers of Whole Earth Catalog understood, educational technologies are best adopted from grassroots efforts, and those technologies adopted, must empower users to take learning, teaching and research to deeper, more meaningful levels. Develop cooperative relationships with regional governments and/or educational institutions to store and broadcast programs for broadcast to the peoples in their respective areas. Innovative ideas, interconnections through sharing those ideas, and purposeful inclusion of technologies in today’s educational landscape echo the rationale behind Whole Earth Catalog. So in striving for sustainable tools for 21st Century education, as Whole Earth readers were reminded in every issue of the Catalog, we must seek technologies and skills that empower individuals to take ownership of their education, shape their environments, and especially, share the adventure with whoever is interested. When addressing these challenges, shortwave radio is still a viable, superior educational solution. See Shannon and Brown’s article, Radio Listening as a Function of Basic Human Need: Why Did Maslow Listen to Radio? See Kelly, K. (2000). “Tools Are the Revolution,” in WHOLE EARTH CATALOG. Marra, R., Howland, J., Wedman, J., and Diggs, L. (2003). A little TLC (technology learning cycle) as a means to technology integration. TechTrends, 47(2), 15-19. Doi: 10.1007/BF02763419. See Susan Douglas’s (2004) book, Listening In: Radio and the American Imagination. Ed Harris can be reached at ed.harris@okstate.edu and would love to hear about your ideas of combining education and radio or advice on the ham exam. This entry was posted in Articles, Guest Posts, International Broadcasting, News, Shortwave Radio and tagged Dr. Ed Harris, Ears To Our World, Ed Harris, Oklahoma State University, Shortwave Education, Shortwave Radio, Whole Earth Catalog, Why Shortwave on January 14, 2016 by Thomas.